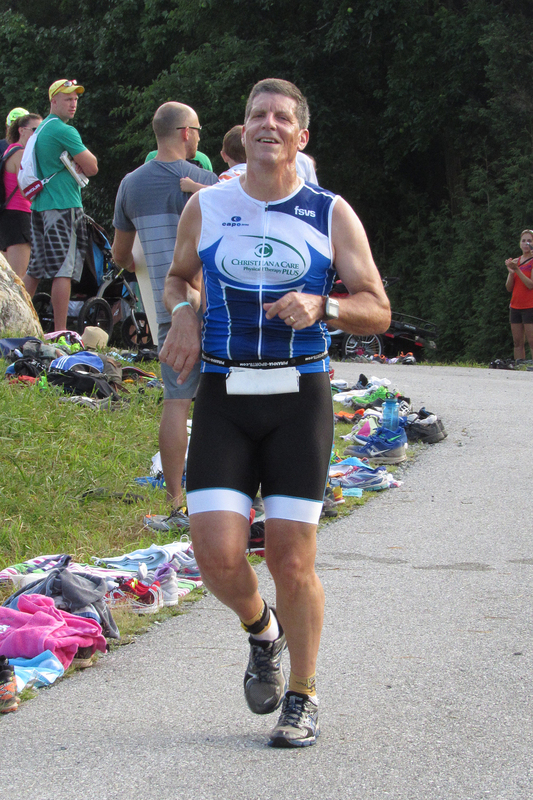 Two Creek Road Runners—CRR Doug Repetti and CRR Mary Braun—performed well at the third annual Top of Delaware Sprint Triathlon here in Newark last weekend. 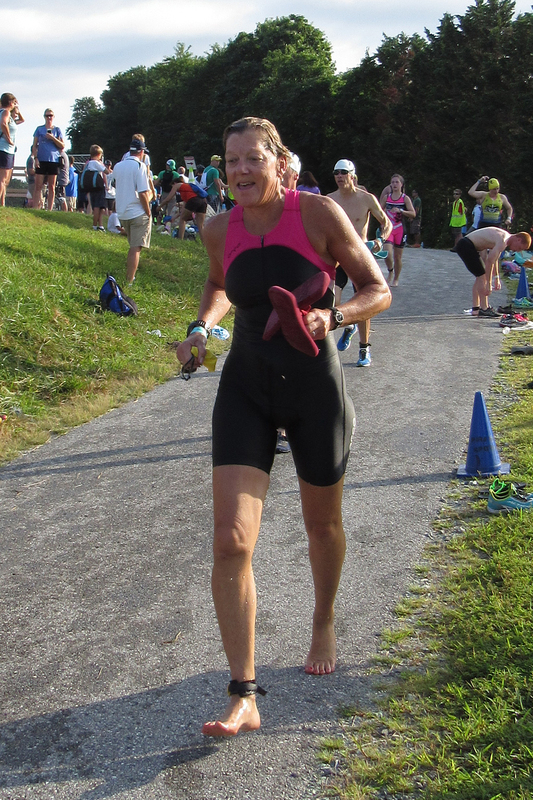 Each set a new PR for this tough quarter-mile swim, 11.4-mile bike, 2.6-mile run course. 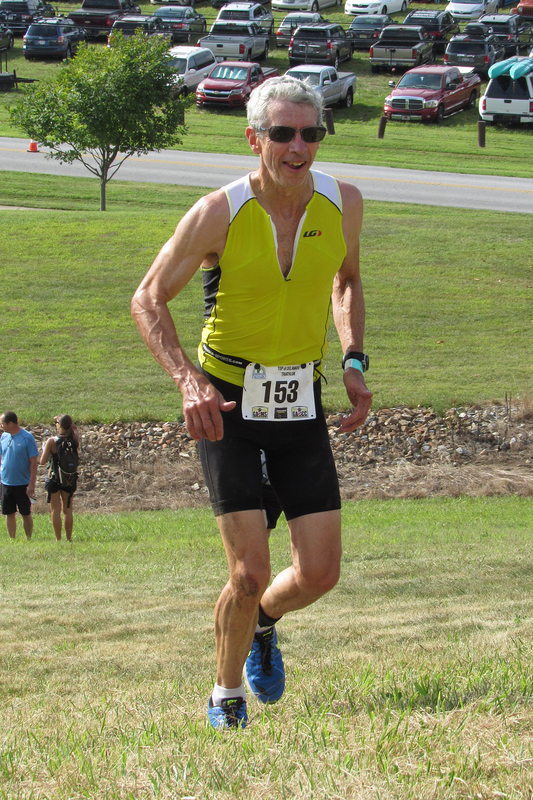 Repetti finished 56th overall out of 262 participants and won his age group (65-69) with a 1:14:06, setting a PR on this course and finishing nearly eight minutes ahead of his nearest age-group competitor. 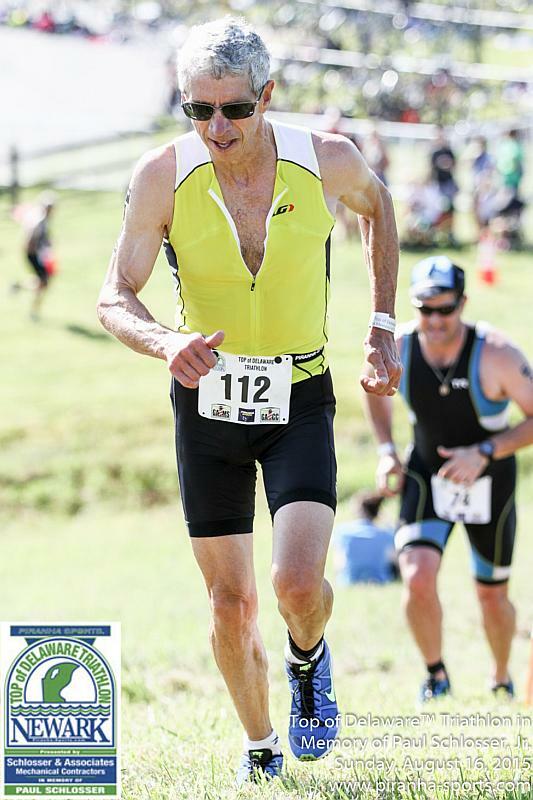 Though he came out of the water quite a bit behind relative to how he finished, Repetti was strong on the bike leg (26th), averaging nearly 19.8 mph. 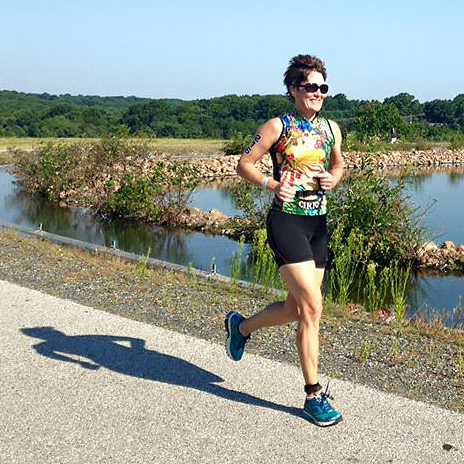 Braun came in 3rd in her age group (50-54) in 1:22:08, placing 122nd overall and 25th among the women. She, too, performed very well on the bike portion (108th), averaging just over 17.1 mph. She PR’d by nearly 10 minutes on this course.